The name sounds like a music hall comedy duo: “Miller & Carter”. Or perhaps it’s supposed to evoke an image of rustic charm: the miller and the carter, dropping in for a tankard of ale on their way home from the harvest. 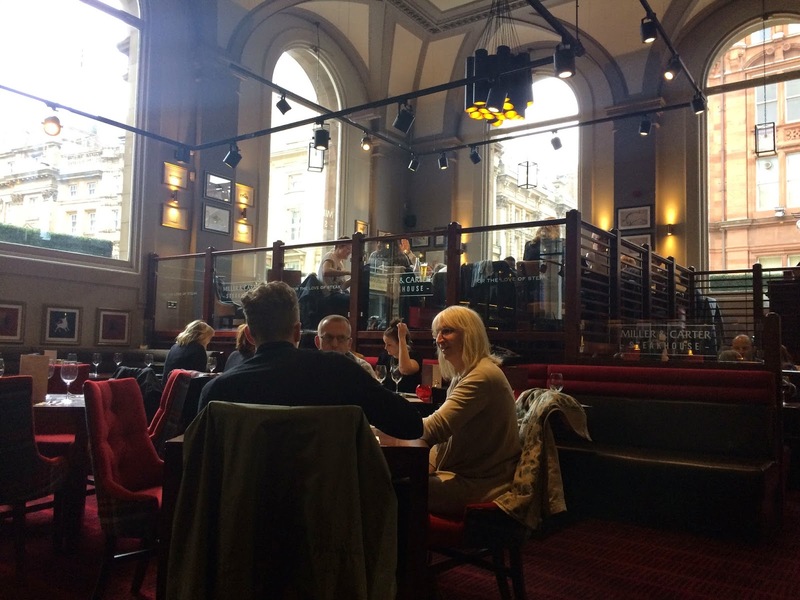 Mitchells and Butlers, also culpable for Toby Carveries, Vintage Inns, Browns and O’Neills, have 35 Millers and Carters in their portfolio, serving a million steaks a year. They’ve now taken a building on the corner of Newcastle’s Mosley Street, and kitted it out with red furniture and a cool lighting rig. This is a restaurant with ambition: “elegant steakhouses with elegant interiors that are a cut above the rest”, it says on the website. A cut above a Harvester presumably. The cuts are mainly “prime” beef. As the etched glass above my banquette declared, it’s all “For the love of steak”. “This will be a disaster,” said Mrs Diner. It started well enough. Friendly, efficient staff, comfy seating. Shame about the napkins. They weren’t just paper, they were cheap paper. You notice these things when you’re about to pay £40 for a three-course meal, and house wine is £5.15 for a small glass of Argentinian Malbec. The wine was good, though: as I say, it started well enough. The menu has lots of steak, but other dishes too, and there’s a £10.95 two-course offering until 6.30pm (5pm at weekends), but as this is largely steak-free, we went for the whole shebang. 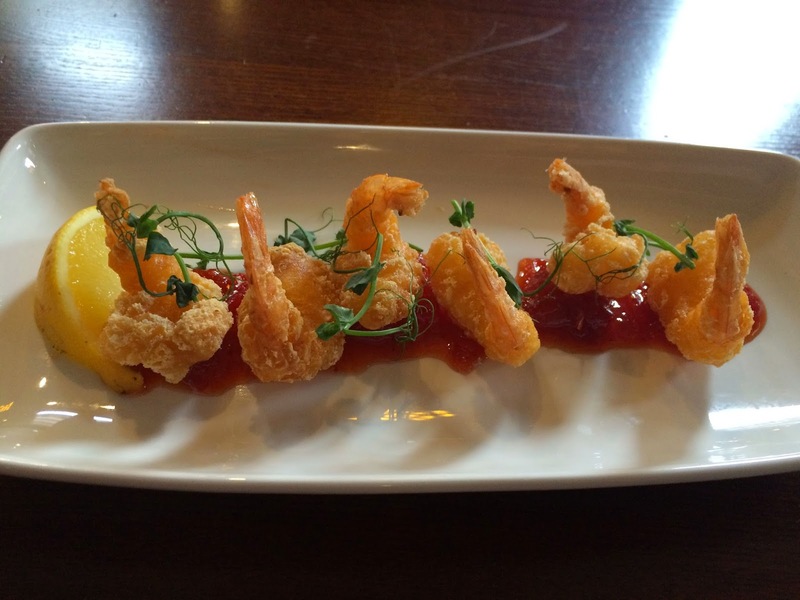 Lemongrass and chilli king prawns, although not quite fluffy enough to deserve the name tempura, were crispy and plump, without any discernible lemongrass or chilli, but with sweet chilli jam that wasn’t as gloopy as Mrs Diner had predicted. They were draped with dying peashoots. The scallops were hopeless. Black pearl, they said, which means the American side of the Atlantic; sweet and nutty, if you don’t overcook them. They were overcooked, then plonked, rather than arranged, on cauliflower mush like something Heinz might bottle for babies. Around them were dots of more mush, in this case “grilled vegetable tartare” (does this mean raw or grilled? – no, it means mushy) on the plate with a few crumbs of pancetta. Another dying pea sprig was cast on top. I tried, unsuccessfully, to cheer up my scallops with a small glass of something new: a Pinot Grigio/Riesling concoction from Brazil. It cost £5.60 and tasted of metal and lime. It was replaced by more Malbec. 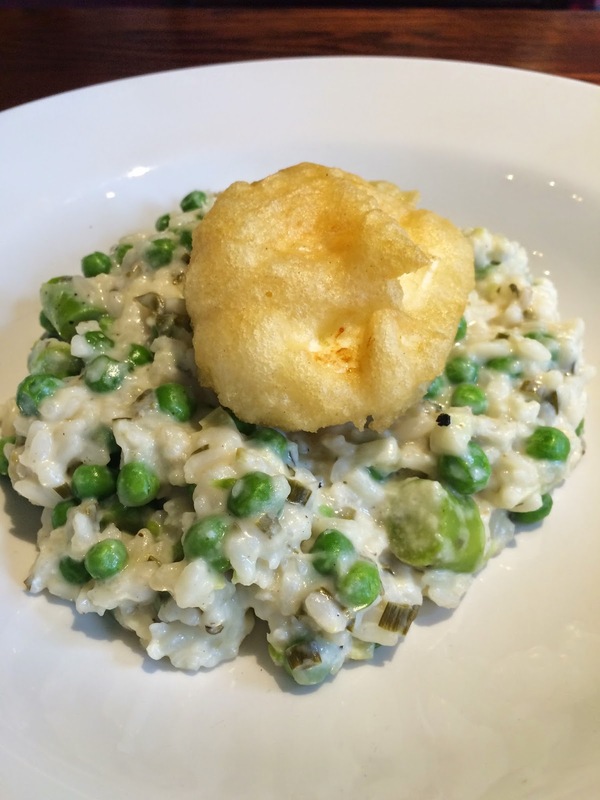 Then to risotto, which was described as “spring onion, asparagus and pea, topped with a deep fried poached egg and grilled vegetable tartare (again)”. They completely forgot the vegetable gloop, and also the spring onion (unless these were the dark green dust particles I spied amongst the peas). They’d added a single asparagus spear, chopped into small pieces. And there on top, a battered egg. The idea, of course, is that the egg stays runny until you cut into it, then it flows lusciously all over the risotto, which otherwise only tastes of rice and pea, for it was made with flavourless stock. I made an incision, and nothing happened. The egg was hard fried. But then to the raison d’être for our trip: fillet steak. The meat was cooked beyond the medium-rare I’d ordered, and tasted of iron. It was my own fault: I should have read the menu properly. 30-day aged, it said in big letters. But the small print revealed: “dry and wet aged”. I apologise to those who know this, but there’s a huge difference between “dry” and “wet” ageing. Hung properly, a beef carcass loses a pound of moisture a day, while the bacteria in the air helps the meat’s enzymes break down the muscle to create tender, succulent steak. As the water evaporates, the flavour gets more intense, until, by about 35 days, a good fillet steak should be dark purple in colour, soft as butter, and almost cheesy in scent. This makes it expensive, of course, for you buy meat by the pound, and after a month of dry ageing a steak will have lost a third of its weight, though gaining immeasurably in flavour. Miller & Carter hang their carcasses for only one week, scarcely long enough to get over the shock of being killed, then they butcher and pack them into vacuum-sealed bags. The meat’s own enzymes can still tenderize, but effectively this meat is aged in its own blood. The result? No weight loss, but an iron taste. Meanwhile, as it cooks, the water that should have been evaporated flows out. 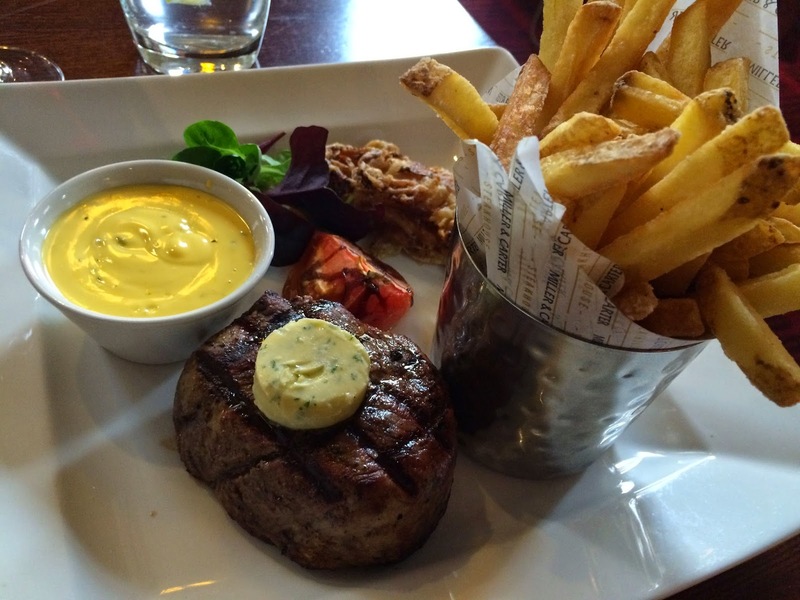 That’s why people on TripAdvisor say their steak was juicy: they mean watery. But if this steak was poor, that’s nothing compared to what accompanied it. A unmelting blob of “parsley butter” sat on top like a wart. On the side was something indescribably awful called “onion loaf”, together with a warm tomato sprayed with balsamic drizzle. 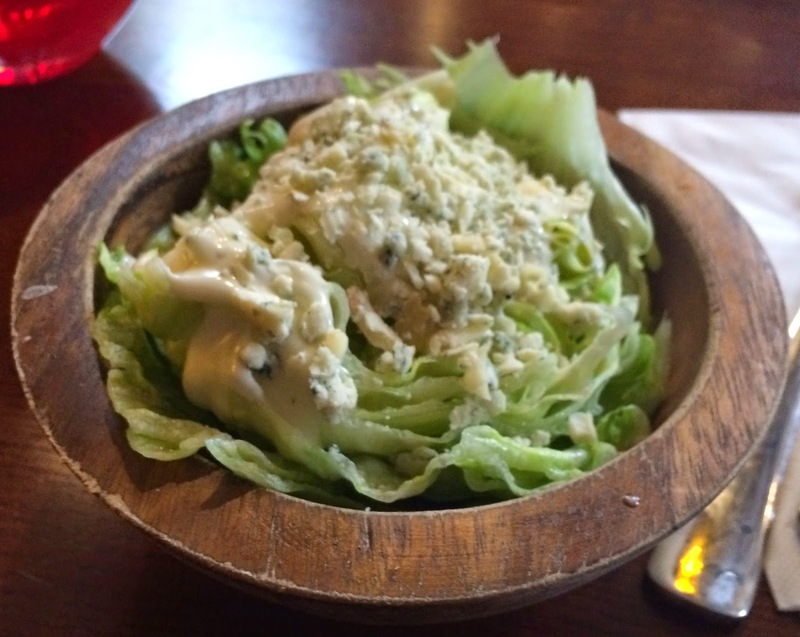 Then, in honour of the Harvester salad cart, there was a wedge of iceberg lettuce in a wooden bowl heaped with a “Stilton & blue cheese dressing”, presumably featuring blue cheese that isn’t Stilton. Worst of all, indeed, possibly the worst thing I have tasted for years, was a little bowl of yellow “béarnaise sauce”. I sniffed at it, and prodded it with my fork. It didn’t move or smell like béarnaise, but it reminded me of something familiar. Then it came to me: Dulux emulsion paint. That was it, spot on, exactly the consistency and colour (Gardenia, I think) when you open the tin. So I tasted it. Now I’ve never tasted Dulux emulsion paint, but I’d wager it must come pretty close to this béarnaise sauce. Apart from the tiniest flavour of tarragon at the back, it was just awful, synthetic, ghastly. It was quickly replaced with “Calvados peppercorn”. This was watery brown gravy with dry, green peppercorns. It too was inedible, so I gave up. Dessert was sticky toffee pudding, served with a single spoon and another paper napkin. Elegant? Hardly. 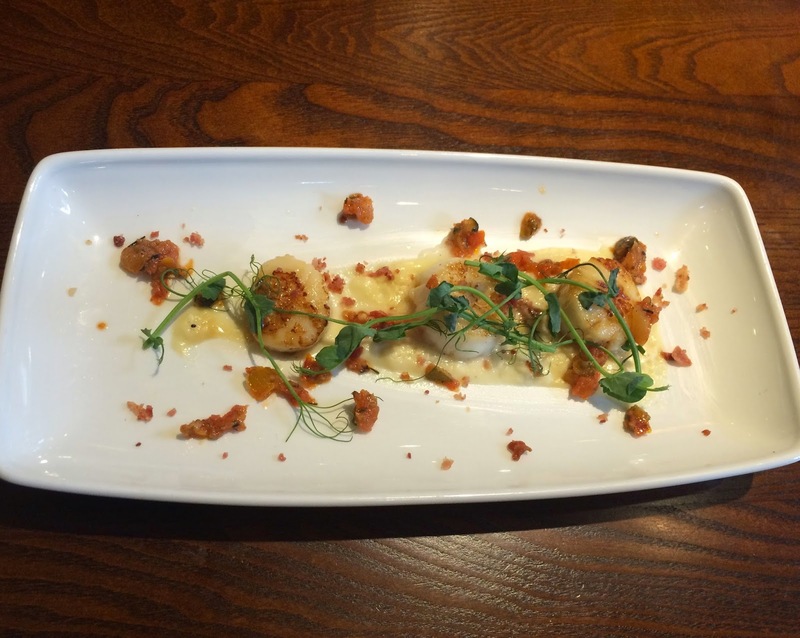 Miller & Carter may not be a comedy duo, but they’re certainly having a laugh. at last someone who agrees miller and carter is overrated! sent my steak back here. beautiful surroundings. They'll be calling it Stilton and blue cheese sauce because it'll contain about 0.5% Stilton (i.e. a good cheese) and 99.5% processed blue-flavour cheese product made in Armenia. I would endorse the original comments the steak I had yesterday had not been hung and was entirely tasteless. A wedge of iceberg with gloop over it instead of a nicely dressed salad and chips weren't particularly crisp or hot altogether a real let down. Hmmmm. I've been to a few of these and really enjoyed both times. Rib eye, 12oz and rare. It was great, one of the best steaks I've eaten. Service was great, the whole look and feel of the place was above and beyond what I was expecting. I feel your review was quite harsh and a tad over the top... especially considering the price!